All you need to do is ask, and Bixby does a good job finding what you want. 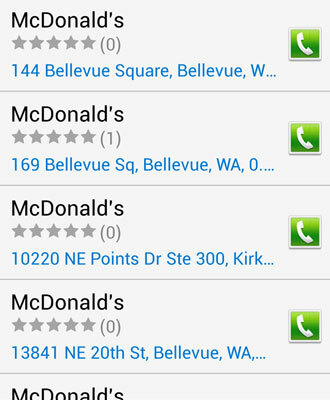 For example, you can ask for a nearby McDonald’s, and Bixby comes back with some options, as shown. Bixby options on a location. Then you can ask it for directions to the McDonald’s you choose. This request causes Bixby to hand you over to your preferred navigation application, bringing up a screen like the one shown here. 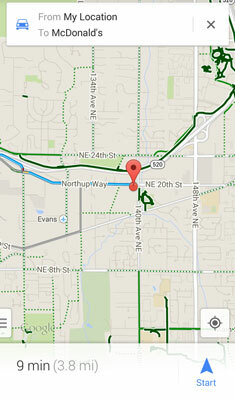 Navigating to the location you requested. Now all you need to do is drive there safely and enjoy!